Earth Friendly Wave dishwasher gel is an effective non-toxic, pH neutral alternative to the usual dishwasher products which can contain caustics. 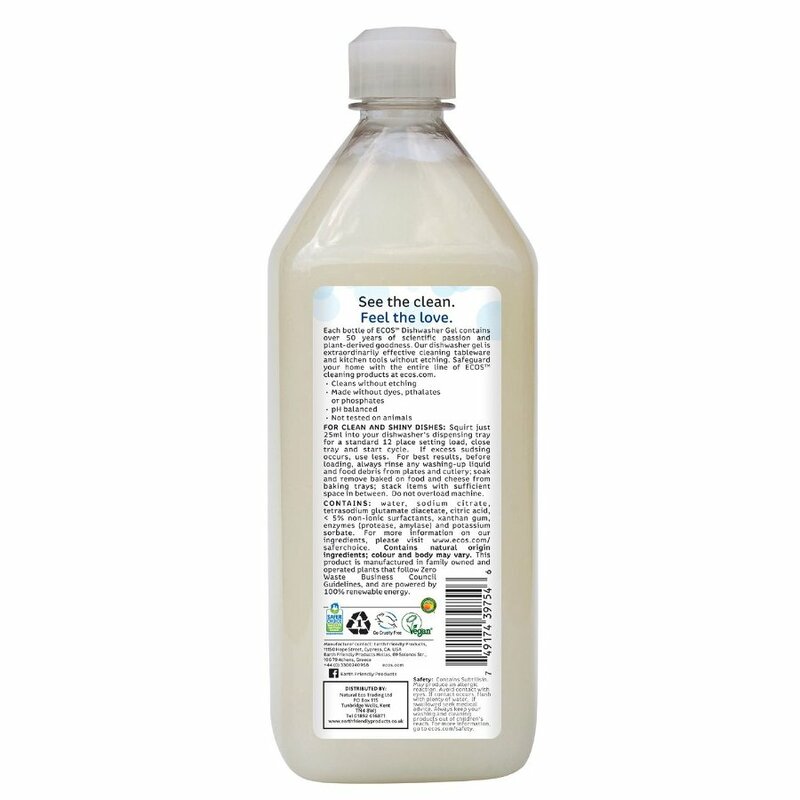 This fragrance free dishwasher gel is phosphate, petroleum, bleach and ammonia free, so there is no chance of it etching glass, crockery or utensils, and has a built in rinse aid action; great value at 13p per wash! water, sodium citrate, tetrasodium glutamate diacetate, citric acid, < 5% non-ionic surfactants, xanthan gum, enzymes (protease, amylase) and potassium sorbate. The ECOS Wave Dishwasher Gel Fragrance Free - 950ml product ethics are indicated below. To learn more about these product ethics and to see related products, follow the links below. I love this! It works so well in my dishwasher. We are a big family and find that we get more out of this form of dishwasher gel then any other dishwashing product. As said by a previous reviewer, it cleaned the "clean" stuff, but not the dirty stuff. I may has well have used water! So much needed extra washing that negated the Earth friendliness of the product. 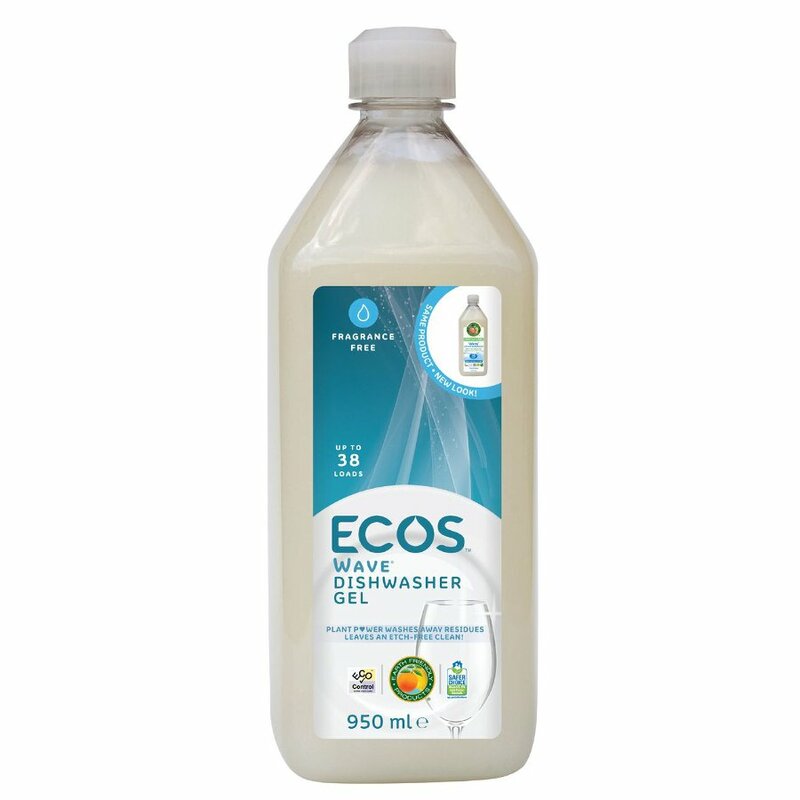 There are currently no questions to display about ECOS Wave Dishwasher Gel Fragrance Free - 950ml.